Some toys squeak, some toys sing, some toys flash so many bright lights, you’ll begin to wonder if an alien spacecraft has landed in your loungeroom. However, some toys do absolutely nothing but wait for children to bring them alive, and these toys are often the most loved, and the most played with. Fanny & Alexander is an Argentine toymaker trying to bring back a time when ‘analogue’ toys were just called ‘toys’. 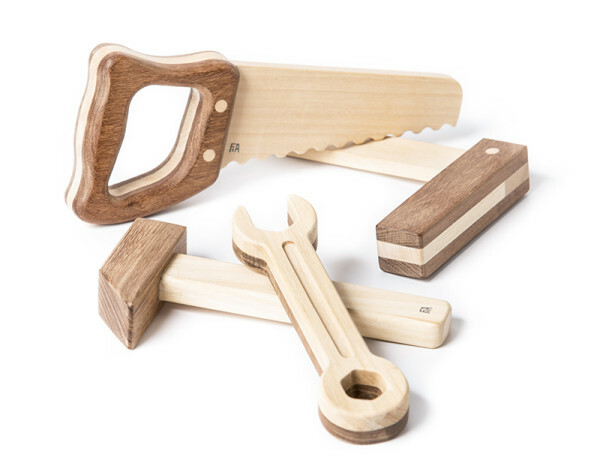 With a focus on rigorous craftsmanship and materials the company dubs noble – think local, sustainable, furniture-quality wood – Fanny & Alexander makes toys that are great for creative play and that will stand the test of time as family heirlooms passed down through generations. 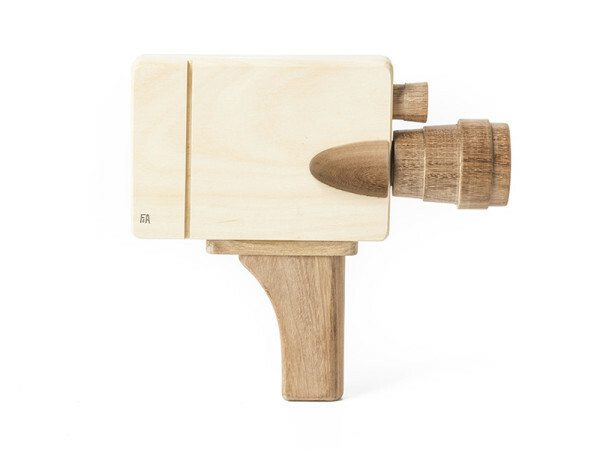 Budding directors can dream up their debut feature film with the help of the wooden 8mm camera ($78). And for those who prefer stills, the point and shoot film camera ($60) is perfect. 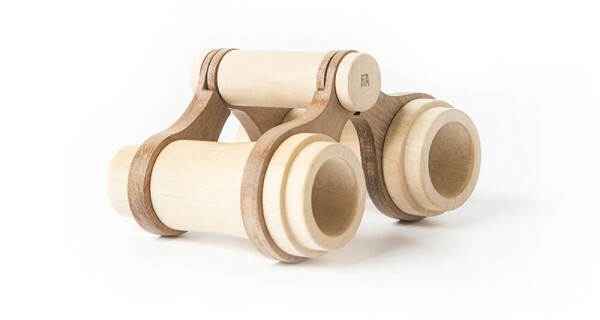 The beautiful binoculars ($65) are great for spying, bird watching and going on safari adventures. But don’t let our ideas frame your children’s play. The best thing about these toys is that they give a simple reference point for play from which anything is possible. Fanny & Alexander is available in Australia at Plyroom.